This two part workshop will introduce students to embroidery through Hungarian craft and culture. Instructor, Sarah Pedlow has traveled in Hungary and Romania, spending several years studying embroidered textiles, and stitching alongside local women. This class will focus on three of the most well-known styles of Hungarian embroidery, including “written embroidery”. 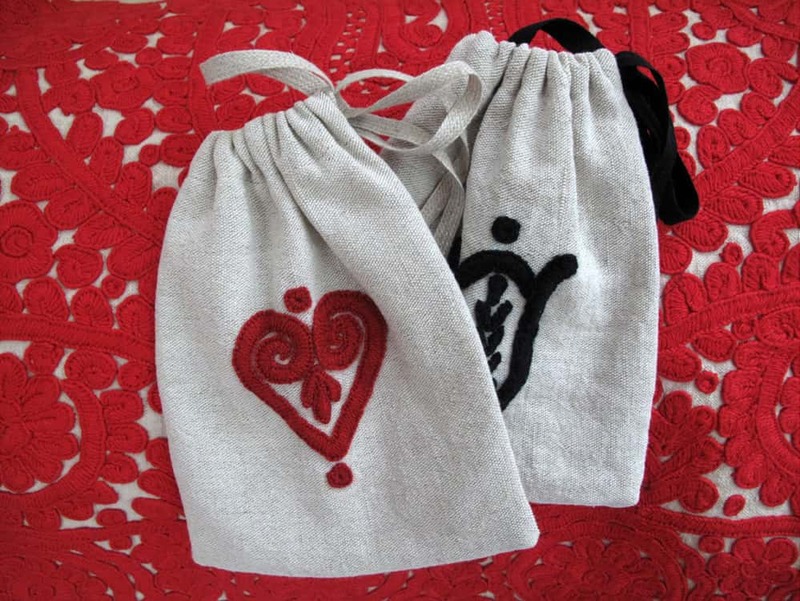 A great intro for beginners, while offering a new style for more experienced embroiderers, students will stitch a heart or tulip design on a piece of linen that can later be sewn into a small bag, pin cushion, or add to a quilt or clothing. Students will also take home materials to create another piece as well as resources on Hungarian embroidery and patterns.